The initiative, announced at YouthCare's Orion Center for homeless youth, was the first major donation the band has awarded since its Home Shows concerts in early August. A month after holding two sold-out concerts at Seattle’s Safeco Field to raise money to combat homelessness, Pearl Jam revealed that some of the money would go toward ensuring no young people have to live outside. The initiative, announced at YouthCare’s Orion Center for homeless youth, was the first major donation the band has awarded since the Home Shows concerts in early August. On hand for the announcement were Pearl Jam guitarists Mike McCready and Stone Gossard, as well as Washington first lady Trudi Inslee. A total of $1.3 million was awarded Thursday, but only $600,000 came from the Home Shows initiative. The rest was from the Raikes Foundation and glassybaby, a hand-blown glass company in Seattle that was a partner on the Home Shows. Most of the donation — about $1.2 million — will go toward a Seattle and King County effort to end youth homelessness by the year 2020, overseen by All Home, the county’s regional homeless-coordinating agency. The rest of the money will help fund the initial stages of a new Anchor Community initiative by the nonprofit A Way Home Washington to end youth homelessness in the Washington counties of Pierce, Spokane, Yakima and Walla Walla by 2022. All four counties applied to be an Anchor Community, but A Way Home officials hope to eventually expand the program statewide, with support from other philanthropic organizations. 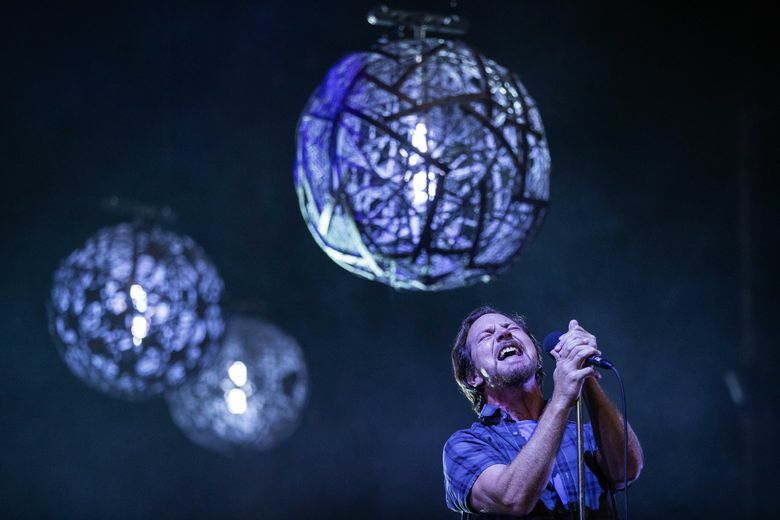 Pearl Jam determined how to allocate funds raised from the concerts, as well as from philanthropic and individual donations, with the help of an informal advisory board. The board is made up of homeless-service providers and members of the philanthropic community, including the Bill & Melinda Gates Foundation, the Raikes Foundation, Schultz Family Foundation and Seattle Foundation, all four of which help fund The Seattle Times’ Project Homeless. Speaking at Thursday’s news conference, McCready, Pearl Jam’s lead guitarist, reiterated his belief that Seattle has to lead the way on ending homelessness if any progress is to be made. An estimated 1,518 unaccompanied young people under age 25 were considered homeless during this year’s King County one-night homeless count, according to All Home. Three-quarters of them had no shelter on the night of the January count and a third identified as LGBTQ. A Way Home has said there are roughly 13,000 so-called unaccompanied youth — kids who are not in the custody of a parent or guardian — who access homeless services across the state. In early August, Pearl Jam reported they had raised around $11 million for homeless initiatives, a number they planned to firm up next week, when they announce how the rest of the money will be spent. Correction: The original post misstated how much of the donation came from the Home Shows.